Family Law, Social Security Disability Claims, Civil and Criminal Litigation. Attorney Maria Cutillo Teare is an experienced trial attorney handling family law, social security disability, and general civil litigation cases. Ms. Cutillo Teare has been achieving successful results for her clients since 2004. Attorney Teare is routinely in court handling divorce cases, custody cases, support matters, equitable distribution and other family law issues. Ms. Teare also has extensive experience assisting clients in their pursuit of Social Security Disability benefits where she has successfully represented individuals at all stages from the initial claim through federal court. 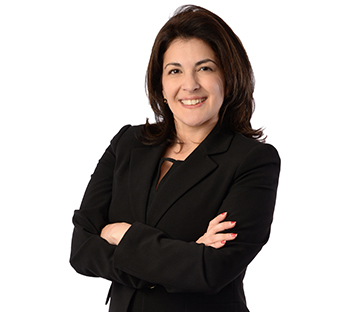 Maria Cutillo Teare is admitted to practice in Pennsylvania and is a member of the Montgomery County Bar Association, Pennsylvania Bar Association and the Doris Jonas Freed Inn of Court. She is also admitted to practice at the federal level before the Eastern District of Pennsylvania, the Third Circuit Court of Appeals and the United States Supreme Court. In addition to her busy practice, Ms. Teare is a member of the Montgomery County Child Advocacy Program where she volunteers her time to assist as a guardian ad litem for children in matters of alleged abuse. Ms. Teare is a graduate of Temple University Beasley School of Law where she participated in the trial advocacy program and was president of the Latin American Law Students Association. She completed her undergraduate degrees at Villanova University. Attorney Teare is fluent in Spanish.